On Sunday, the Rev. Franklin Graham shared on Facebook how God moved miraculously at an event in Mexico, where 16,000 people showed up to hear the word of God. Graham, the son of the late evangelist Billy Graham, spoke at the Festival de Esperanza in Mexico this past weekend. The results of the two-day event were far beyond what he could have projected. In his post, Graham shared more about the experience, along with some photos depicting his time in Monterrey, Mexico. 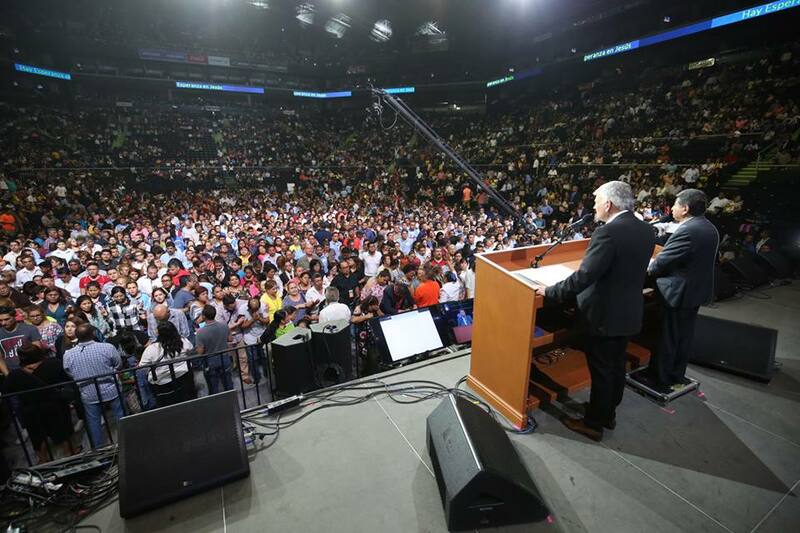 “We praise God that hundreds of people responded to the invitation to turn from their sins and trust Jesus Christ as Savior and Lord tonight in Monterrey, Mexico,” he wrote. “Over 500 churches prayed and participated in the Festival de Esperanza — we appreciate each one of them, and I’m looking forward to coming back to Mexico,” Graham added. In a separate post, Graham shared more photos and a quote from Isaiah 55:6. He also thanked those who had provided the music for the event and asked for prayer for the rest of the event. “Thank you to Grupo Juda, Grupo Barak, Marco Barrientos, Dennis and Danny Agajanian, and The Tommy Coomes Band for bringing the incredible music at the Festival de Esperanza (Festival of Hope). Please pray with us for God to work in many more hearts tonight,” Graham wrote. To read more about Graham’s Mexico ministry and the event itself, click here.